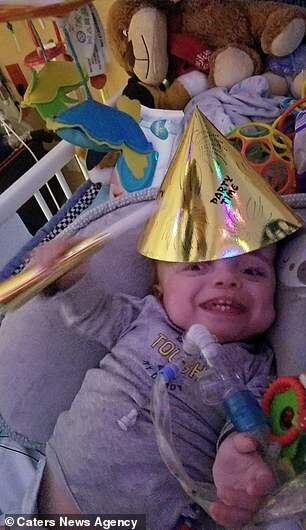 A miracle baby who was born the size of a ‘small doll’ and defied doctors who said he would die is set to go home for the first time after spending 545 days in hospital. Mikey Barone, now 17 months, of Buffalo, New York, will finally be able to experience the outside world after he was born on July 5, 2017. 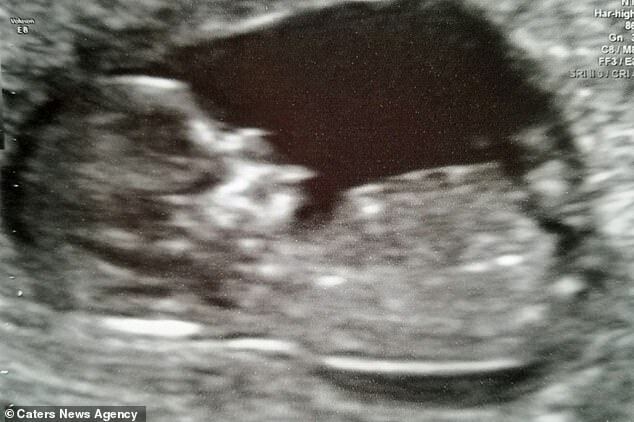 His parents Kristine, 40 and Michael, 37, were devastated when their six-month ultrasound scan revealed Mrs Barone had dangerously high blood pressure, forcing her to give birth via C-section at just 25 weeks. Weighing just 1lb 10oz, Mikey needed breathing apparatus to keep him alive, which his parents refused to remove despite medics suggesting they let him die in peace. After enduring multiple life-saving surgeries, the youngster is finally strong enough to go outside despite the risk of infection. Mr and Mrs Barone were shocked to discover they had conceived naturally after enduring four-and-a-half years of fertility treatment and a miscarriage. ‘It was kind of like a miracle, my husband tried to talk me into taking a test, but it didn’t feel right after all the treatment and everything,’ Mrs Barone said. 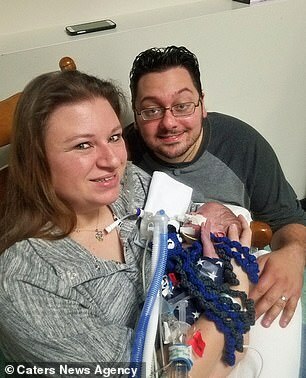 However, their joy was short lived when Mrs Barone was forced to give birth early when her blood pressure rose, and her liver and kidneys started to fail. 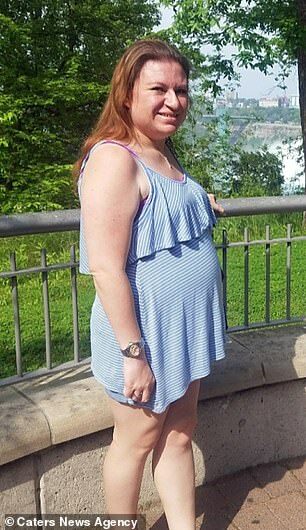 Mrs Barone – who cares for her son full time – said: ‘When Mikey was born, he was the size of a very small doll, he looked so skinny with a tiny body and a big head. ‘We had many meetings where doctors told us he would have a bad quality of life because of his lungs and he wouldn’t get very far. ‘They wanted to take out his breathing tube, then hand him to me, from there he would either thrive or pass away in my arms. 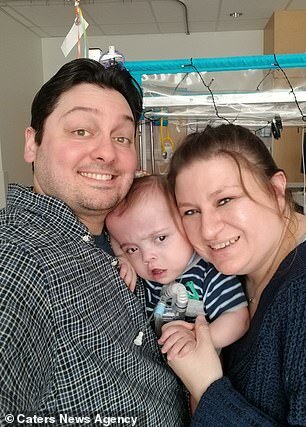 Mikey – who suffers from chronic obstructive pulmonary disorder and weakness of the airway walls – only left hospital to be passed to a different treatment centre. The family’s hopes were initially raised when doctors suggested the youngster may be home in time for Christmas. But medics then revealed Mikey – who is still fed via a tube – needed further surgery and had to stay in hospital over the festive season. ‘We were all ready to have him home around Christmas, then suddenly we had the emergency and were told he couldn’t leave,’ Mrs Barone said. Against all the odds, Mikey is now ‘thriving’ and ready to go home. ‘I would love to see the doctors who were ready to give up on our little boy now, as he is now thriving,’ Mrs Barone said. The ordeal has taken a huge toll on the family, with Mrs Barone spending every single day in hospital with her son. ‘Staying with him has given me the opportunity to learn what I needed to take care of him,’ she said. ‘It feels like this is where I am supposed to be,’ she said. ‘I am excited to take him for a walk when it’s warm, I think that’s what I am really looking forward to the most about getting him home. The Barone family have been helped by the fundraising efforts of the website Sweet Buffalo – which publishes ‘positive and inspirational stories to brighten your day’. 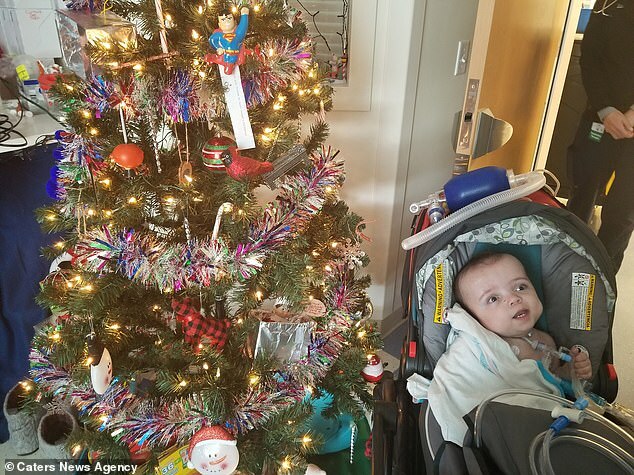 Its founder – Kimberly LaRussa, 31 – said: ‘Mikey’s mum shared a photo with me of the Christmas tree of lights she put up in his window at the hospital. ‘Although the funds are much needed to them, I also wanted to give them some hope and show them we care. 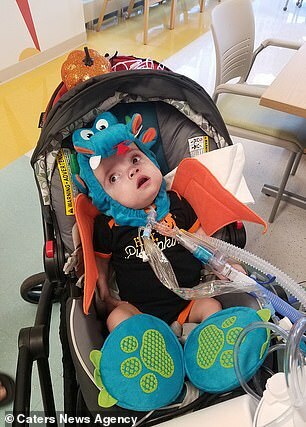 His parents are speaking out to help them get donations to cover their medical bills – which they estimate could be more than a million dollars. ‘I have not left the hospital since July, I’ve always said the only way I was leaving was when we were both able to leave,’ Mrs Barone said. ‘The hospital has told us they will send us a medical bill, but we have no idea what it will be. ‘We are expecting it to be really high, we don’t know how much our insurance will cover but we expect the bill to be in the millions. Donate towards Mikey’s medical costs here. WHAT IS A PREMATURE BIRTH, AND WHAT ARE THE RISKS TO BABIES? Around 10 per cent of all pregnancies worldwide result in premature labour – defined as a delivery before 37 weeks. When this happens, not all of the baby’s organs, including the heart and lungs, will have developed. They can also be underweight and smaller. Tommy’s, a charity in the UK, says this can mean preemies ‘are not ready for life outside the womb’. 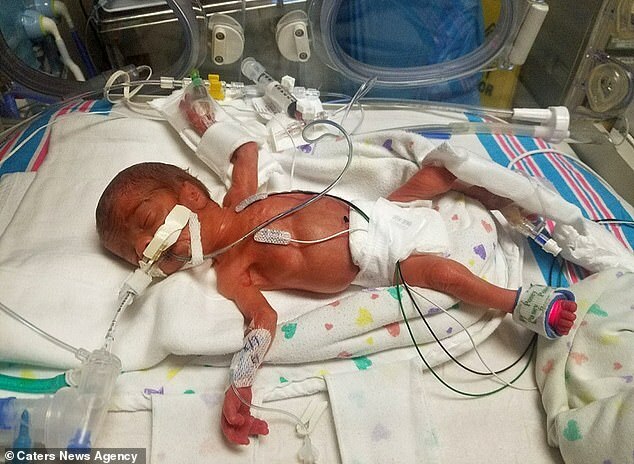 Premature birth is the largest cause of neonatal mortality in the US and the UK, according to figures. Babies born early account for around 1,500 deaths each year in the UK. 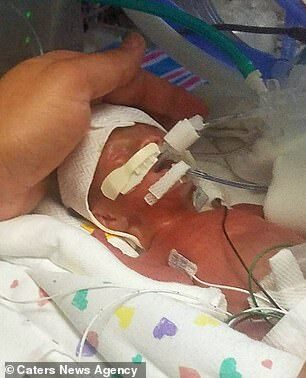 In the US, premature birth and its complications account for 17 per cent of infant deaths. Babies born prematurely are often whisked away to neonatal intensive care units, where they are looked after around-the-clock.